The internet is a global collection of networks connecting and sharing information through a common set of protocols. It allows computers attached to networks to communicate regardless of manufacturer or brand, architecture, operating system or location. Now, it is effectively using in e-commerce transactions. In e-commerce transactions, usually computer network is used in order to conduct the commercial activities, i.e., to sell or buy the goods or services and also to provide customer services in various aspects. 2. There are different types of categories for e-commerce transactions, i.e., Business-to-Business transactions (B-2-B), Business to Consumers transactions (C-2-C) and Consumer-to-Consumer transactions (B-2-C). In Business-to-Consumers approach, the companies are involved with the customers directly for the sale of goods or provisioning of services. In Business-to-Business approach, the companies are involved with other companies for sale of goods or provisioning of services. These companies are less involved with the retail customers. In Consumer-to-Consumer approach, the companies facilitate sale of goods or provisioning of services between individual customers. Further, for the execution of e-commerce transactions, the buyer and seller of goods and services meet on 'E-Commerce operator' platform. The price of the product alongwith various other information are displayed on the platform which enables buyers to decide about the purchase of goods or services. After the buyer has decided to purchase goods/services, the supply of goods or services is made through the person operating the platform by the supplier. ♦ It should be digital or electronic facility or platform : This can be explained by way of an example. Say, Mr. Siddharth logs into the site of UBER for the booking of cabs and specifies his location of pickup and the destination. The information regarding the availability of taxis, time likely to take to reach the pickup point and the nature of taxis available is flashed on the electronic platform. Once Mr. Siddharth accepts the offer, the phone no. of the driver is provided to Mr. Siddharth and at the same time, the phone no. of Mr. Siddharth is flashed to the driver. Thus, two-way connection takes place by the means of communication device. This helps in providing services to customer. ♦ Person shall own, operate or manage the electronic platform: The definition of 'Electronic commerce operator' provides that operator may own the platform or may operate or manage the platform. It is not essential that the electronic commerce operator shall always own the platform. The operator may have agreement with the owner of the platform for operating or managing the platform. Thus, in case electronic platform is owned by one person, say Mr. Murti and is operated by Mr. Mittal. In this case Mr. Mittal will be considered as electronic commerce operator as business is transacted through him. 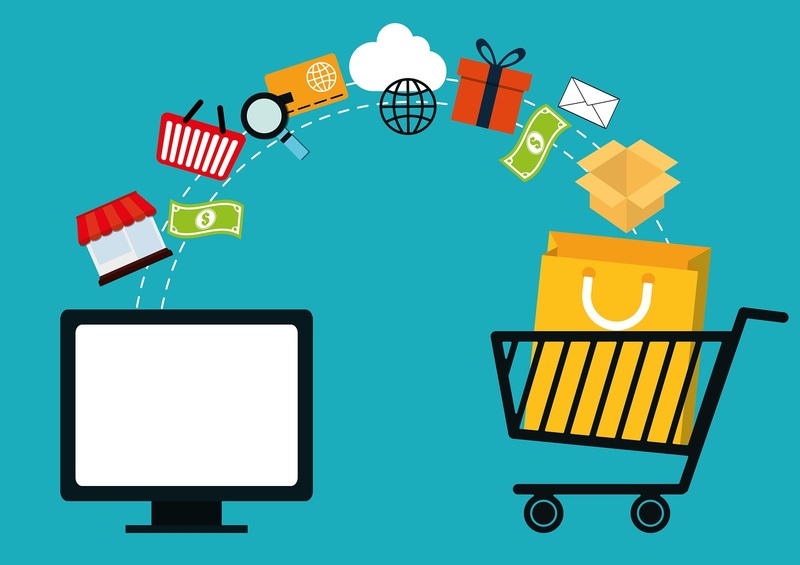 ♦ It should be for electronic-commerce: As per the definition of e-commerce, supply of goods or services including digital products over digital or electronic networks is called e-commerce. In current scenario, there are so many examples for e-commerce like Amazon, flipkart, sanp-deal, etc. These e-commerce websites provide the platform to the persons to buy the goods or services. Thus, e-commerce platform should allow buyers or sellers to meet and finalize the transaction electronically. 4. As per Section 22(1) if a person makes a taxable supply of goods or services or both in a financial year which exceeds aggregate of Rs. 20 lacs/10 lacs (special category States), he shall be liable to be registered under this Act. However, the above-mentioned threshold limit is not applicable in case of e-commerce operator and persons who are making supply of goods or services or both through such electronic commerce operator. In other words, all the business carrying out through e-commerce activities are required to get registered under the GST Act, irrespective of their turnover. Besides this, the benefit of composition scheme shall also not be available to the persons who are engaged in making any supply of goods through an electronic commerce operator. 5. As per Section 52(1), the electronic commerce operator shall collect TCS at such rate not exceeding 1% as may be notified on the net value of taxable supplies made through it where the consideration with respect to such supplies is to be collected by the e-commerce operator. The net value of taxable supplies means aggregate value of supplies made by the supplier reducing the value of returned goods or services. For example, Amazon has supplied Adidas shoes from Adidas company to various customers aggregating to Rs. 15 lacs during the month of September, 2017. Further, the customers have returned the goods sold in July 2017 and August 2017 of Adidas shoes to the value of Rs. 3 lacs during the month of September, 2017. In this case, the net value of taxable supply of Adidas shoes is Rs. 12 lacs and Amazon is required to deduct 1% of Rs. 12 lacs as TCS for supplies made in September, 2017.Further, TCS is required to be collected by e-commerce operator on a monthly basis and is required to be deposited in the Government account within 10 days after the end of month in which the collection is made. ♦ Services by way of house-keeping, such as plumbing, carpentering, etc., for E.g., Urban Clap. 7. Section 52(4) of the GST Act, 2017 contains the provisions regarding monthly statement by the e-commerce operator. This Section stipulates that every operator shall file a statement electronically of all the amounts collected towards supply of goods or services by the 10th of following month in Form GSTR-8 through common portal. Further, if e-commerce operator after furnishing the monthly statement detects any omission therein, he shall rectify such omission in the statement to be furnished for the month in which such an omission is noticed. 8. In addition to monthly statement, Section 52(5) also casts an obligation on the operator who has collected TCS to furnish annual statement containing details of outward supply of goods or services or both, including supplies which are returned by the customers and the amount collected by the e-commerce operator. The annual statement is required to be furnished before last day of December following the end of the financial year. 9. The details furnished by the e-commerce operator shall be matched with the corresponding details of outward supplies furnished by the concerned supplier under this Act in terms of the GSTIN of the supplier, the GSTIN/UIN of the recipient, State of place of supply, invoice number of the supplier, date of invoice of supplier, taxable value and tax amount. If the said details do not match with each other, the discrepancies shall be communicated to both, the supplier and electronic operator. It is duty of both, e-commerce operator and the concerned supplier, to rectify the discrepancies. However, if the discrepancies are not recertified by the supplier in the month in which the discrepancy is communicated, the tax will be added to the output tax liability of the said supplier for the calendar month succeeding the month in which the discrepancy is communicated. In short, it will be the responsibility of the supplier making an outward supply to ensure that the proper returns are filed by the e-commerce operator, so that he is also not liable to pay the tax in addition to the tax already collected by the e-commerce operator. 10. On the reading of above we can see that the Government, by introducing various compliances with regard to e-commerce in the GST Act, has tried to regularize the sector. It is hereby pertinent to mention that e-commerce sector in India is one of the most rapidly advancing sectors and introduction of such huge compliance may slow down the progress of the sector. Hence, the Government should try to introduce provisions regarding e-commerce through notifications/clarifications which would help in the advancement of business rather than creating obstacles.